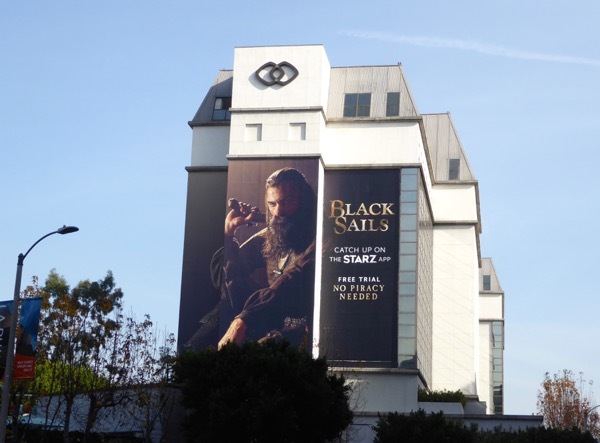 All good things must come to an end, and the fourth season of Starz pirate drama, Black Sails, will also be its last. 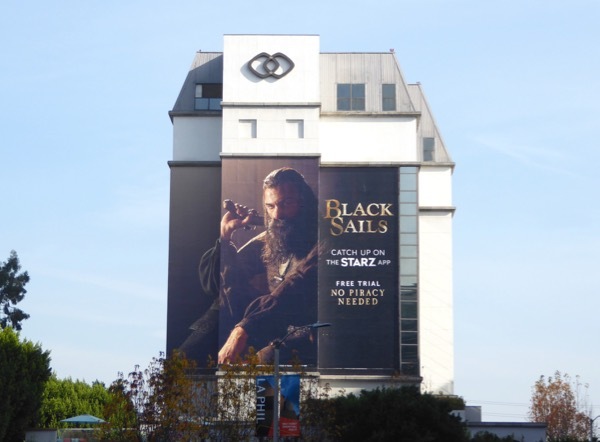 The final ten episodes of the TV prequel to Robert Louis Stevenson's Treasure Island will see pirates in all-out war in the West Indies, with canons blasting, cutlases slashing and blood in the water. 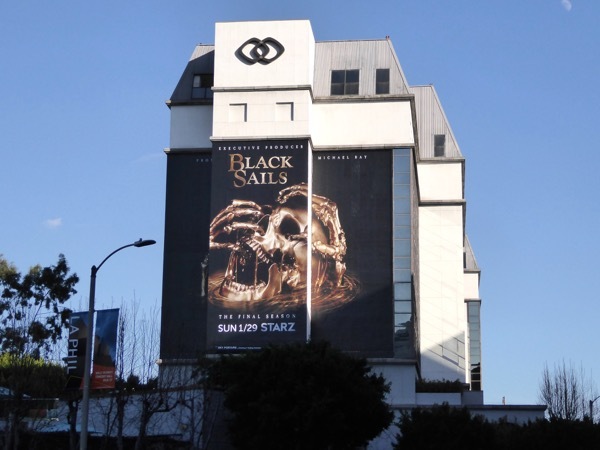 The giant 'Catch up on the Starz app' teaser billboard was snapped along Beverly Boulevard on December 14, 2016, whilst the eye-catching 'golden skull' ad creative was spied in the same super-sized location on the side of the Sofitel Hotel on January 6, 2017. 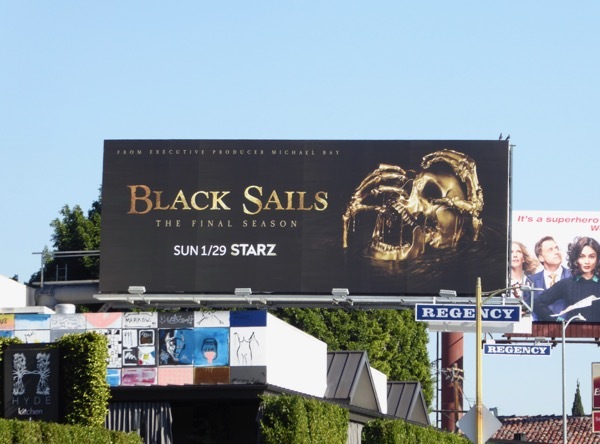 Meanwhile the standard landscape billboard for the final season was photographed along West Hollywood's Sunset Strip on January 14, 2017. 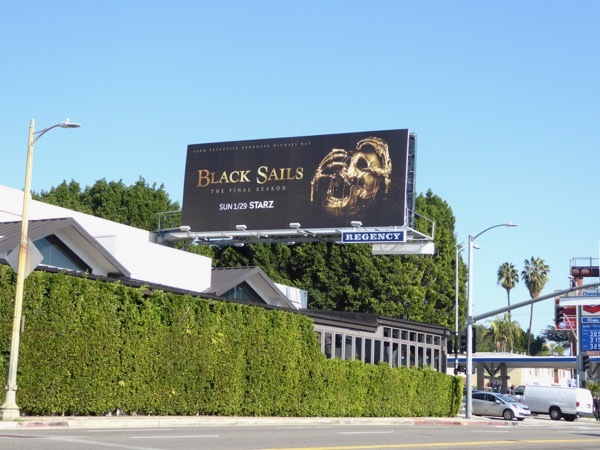 Fans of the period pirate show can also check out all the previous season promo billboards for Black Sails. 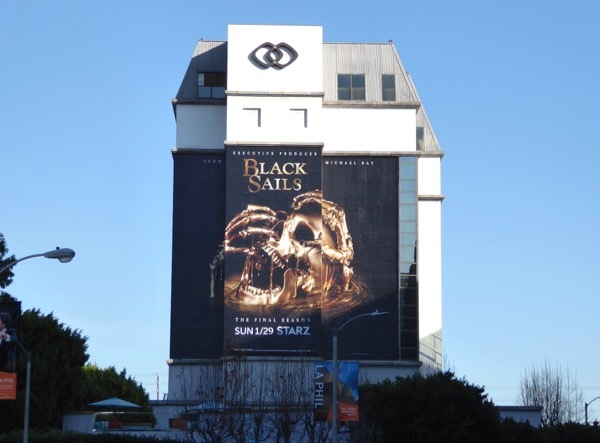 Get ready to set sail for one last golden adventure with 'Captain Flint' and his crew mates and enemies on the high seas. 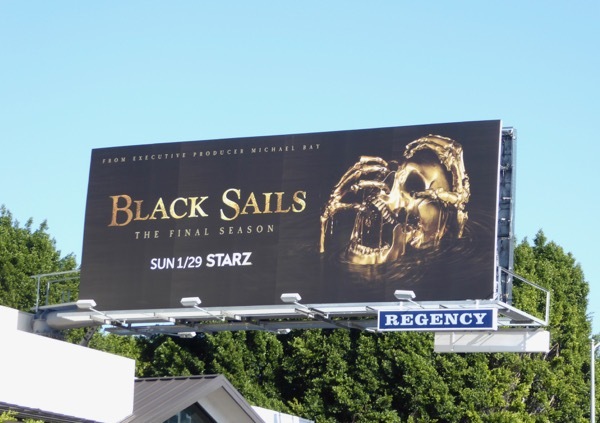 Let's hope the final season will be a treasure worth discovering.